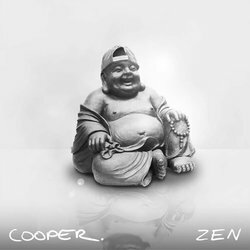 2018 sees the release of Cooper's debut EP, Zen float onto the airwaves, with production from industry leading producers, Matik (Seth Sentry), One Above (Hilltop Hoods) and Jon Reichardt (Bliss n Eso) Zen is a cover to cover classic and cements Cooper as one of the best emerging MC's Australia has to offer. Counting The Days is an introspective track dealing with the fleeting nature of life and living in the moment. Backed by the riff driven composition of legendary hip hop produced Matik, Cooper melodically flows through the verses with a familiar yet distinct cadence that commands attention from the first bar.